As always, Philly has a stunning style all its own. By Molly Dooling·	 9/17/2018, 9:16 p.m.
Everything about weddings is special: they’re beautiful celebrations of finding love and starting a life together. But, the truth is, nothing causes us to catch our breath like when a bride finds her perfect wedding dress to celebrate that Big Day in. It’s just pure magic. That’s what makes bridal fashion so captivating. 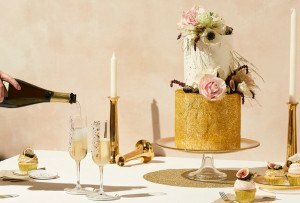 The bridal fashion scene is constantly evolving: brides continue to look for unique options, while wedding dress designers and salons continue to stay innovative. Every year, there are new stunning gowns that will be worn on the most extraordinary day of a woman’s life. 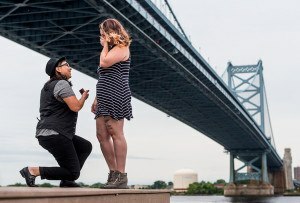 To help you get a closer look at what wedding dress fashion looks like in Philly this year, we reached out to someof the best bridal salons in the area and asked them what some of their most popular styles were this year. Below, get a peek at our local bridal fashion trends by looking through some of the the most sought-after wedding dresses from top local bridal salons—and find out if one of them is perfect for you. The most popular dress at this local shop this year is the Belmont by Sarah Seven. 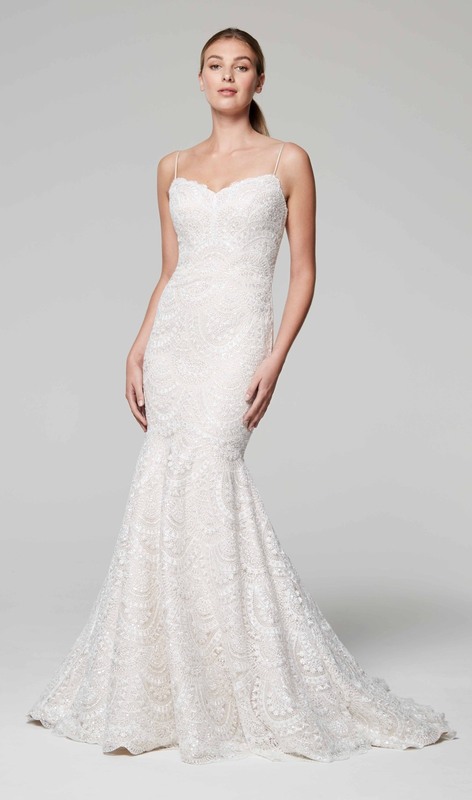 The gown has a gorgeous v-neck, hugs every curve, and finishes with a long train. And, the salon itself truly is lovely. And local: offering over 15 local designers with an array of gowns, brides are sure to find their dream dress. Here, brides can stray from the norm with a dress that breaks the mold. Retail price $2650. This style by Stella York — a designer who takes inspiration from Australian elegance — is the most popular dress in 2018 for this Philly salon. This bridal shop definitely has the “it” factor. 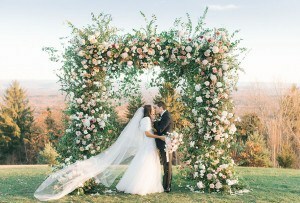 Not only does it exclusively offer designers Berta, Yolancris, Elizabeth Fillmore, and its own private label, it also has event planning services. Brides can even find handmade veils, headpieces and jewelry here. The Wedding Factor is open Tuesday through Saturday and Mondays by appointment only. Retail price $1675. Designer Julie Vino’s distinctive mix of European-meets-New-York style makes this gown (Style 1603) a hot commodity at Nicole Bridal. Just a short drive outside Center City lies this suite-style salon that offers couture wedding gowns. They even provide recommendations for the best photographers, makeup and hair stylists, florists, entertainers and videographers in the area. 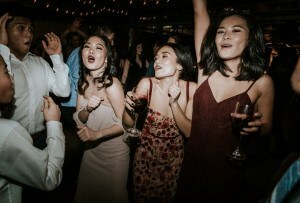 Local brides rave about the attentive and welcoming consultants here. Retail price $9,500, with the detachable train $11,000. The Brooke dress by Badgley Mischka is the most desired dress at Mari Mi this year. 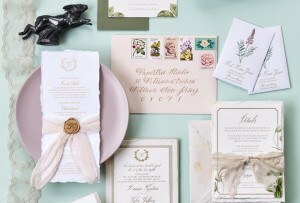 Here, brides will truly feel the love for love. Owner Monet Imperato’s background in everything wedding will help ensure your dress is perfect for you. 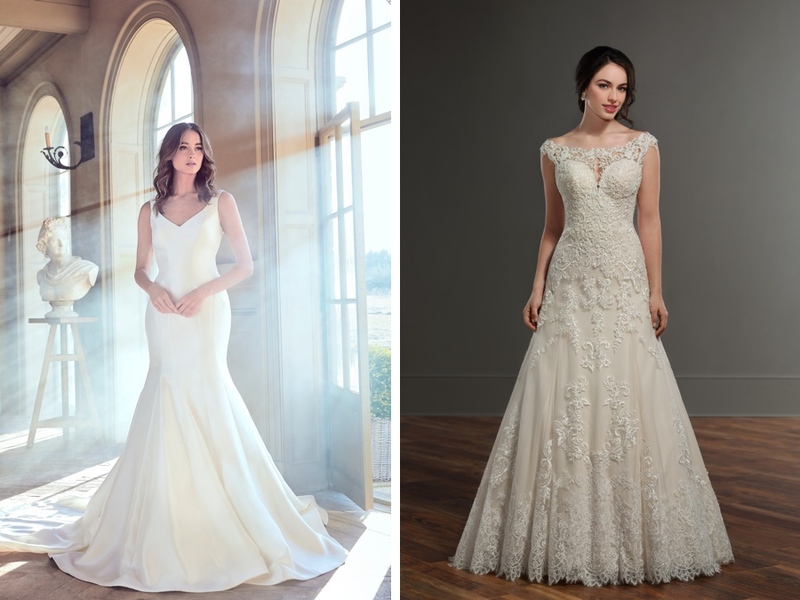 Hoping to give you a true “Say Yes to the Dress” moment, the salon offers collections by Enzoani, Rosa Clara, Badgley Mischka, and Mark Zunino. Retail price $4,125. The name Lazaro is quite recognizable in the bridal world. The most popular dress from this salon is the Emma by the Cuban designer. Located in Cherry Hill, Bridal Garden is passionate about making your wedding dress appointment a moment you will never forget. Staying true to their motto, “a dress for every bride,” they’re proud to announce the opening of their Plus Size Bridal Gown Showroom. Make an appointment here and find your dream gown. Retail price $4620. The Zurie gown from Anne Barge’s sophisticated Blue Willow collection is a bestseller at this boutique this year. Want the big city experience of shopping for your wedding dress, while staying close to home? Elizabeth Johns gives you just that. Brides get to choose from a beautifully curated collection of sought-after designer wedding dresses. 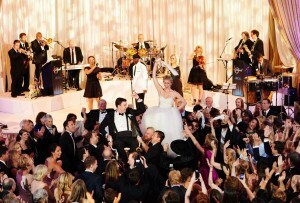 When you do find your dress, celebrate the Elizabeth Johns way—with champagne, of course . Retail price $3590. 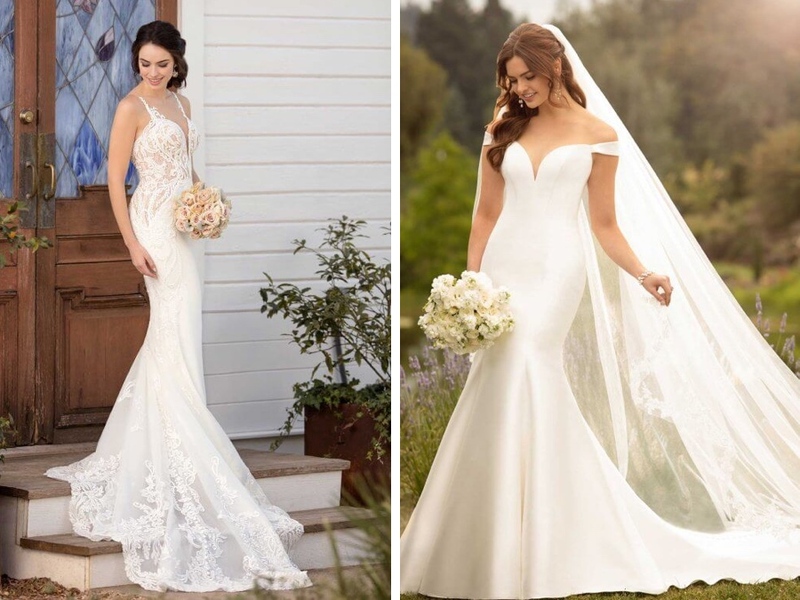 This local salon shared three different gowns that have been most popular during 2018. Style #1013 by Martina Liana is one of the three most popular dresses at Le Bella Donna. In a word: striking. The plunging neckline and sheer back, embellished with dainty white buttons, make for an outstanding look. Style #906 (not pictured) also by Martina Liana is a mermaid style dress with thin straps and a dazzling bodice. Style #D2477 by Essence of Australia is a chic, tasteful off-the-shoulder gown with a full skirt. The helpful consultants at high-end boutique Le Bella Donna can guide you through what may seem to be a maze of trying to find the perfect dress, as their extensive inventory offers many options. . Retail price for Martina Liana, style #1013, $2950. Retail price for Martina Liana, style #906, $2300. Retail price for Essence of Australia, style #D2477, $1600. 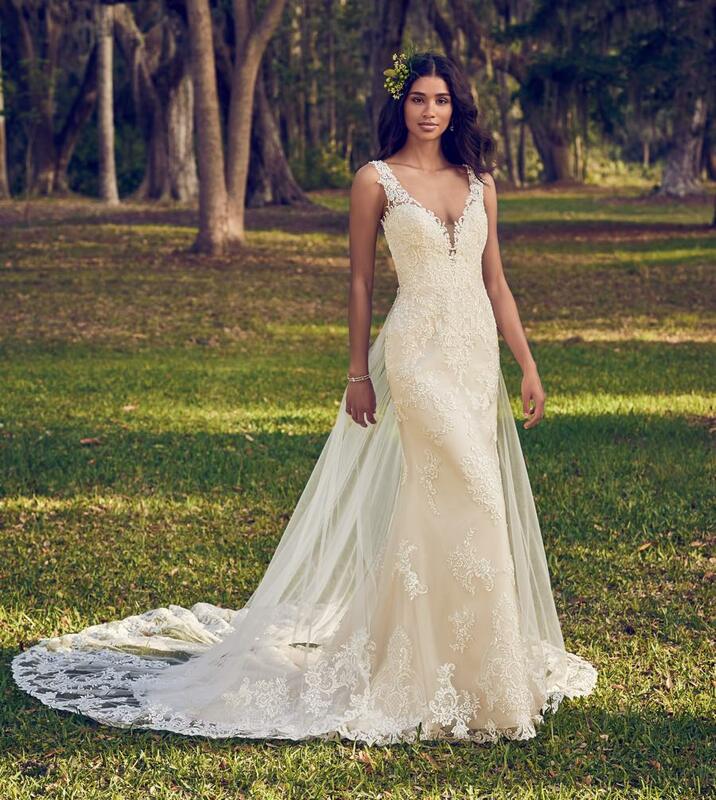 During 2018, this Bernadine dress by Maggie Sottero has been all the rage at Bijou Bridal. It’s stunning lace-embroidered open back and attachable train is desired by many. Brides who visit this mainline salon can expect to choose from a large showroom with a couture experience, without the couture price tag. Consultants here truly take pride in helping a bride’s dream dress become a reality. Retail price $1200, detachable overskirt $450. At this local salon, two wedding dresses stand out as the most popular for 2018. Style 901 from Martina Liana is a modern take on a classic, traditional style. The A line gown is embellished with bold lace and pearl beading. This Sareh Nouri dress in the style “Olga” is also a best seller. Sleek with a fit & flare line, this gown looks amazing on most brides. Check these gowns out, or find a dress that is unique to you and your personal style at Van Cleve. Their newly renovated space was designed with private showrooms and a runway for brides to strut their stuff in the gowns of their dreams. Retail price for Martina Liana $2400, Retail price for Sareh Nouri $4795. 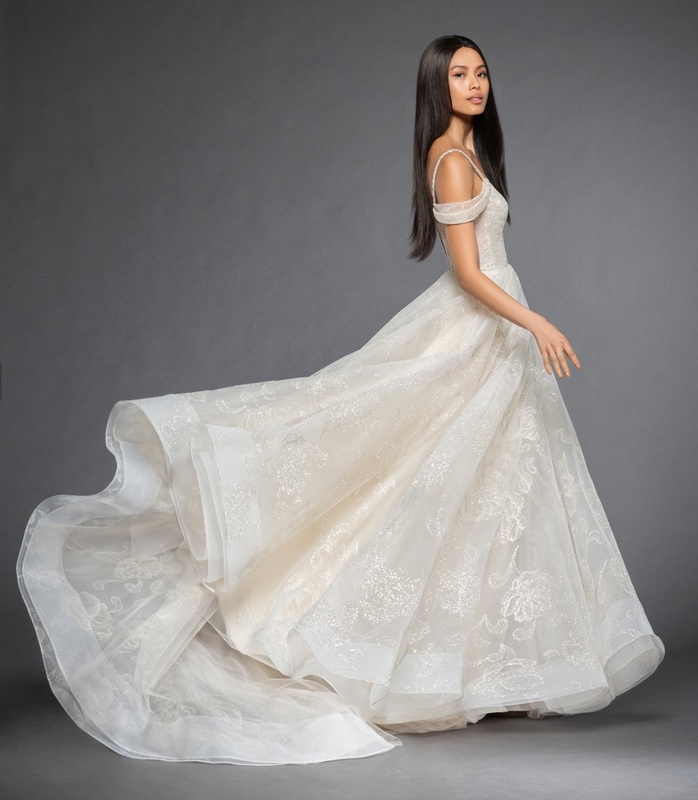 This beautiful couture Etoile by Monique Lhuillier is a desired look for the 2018 Season, says Pattie Lamantia, owner of The Wedding Shoppe. The silk white and slim bodice is embroidered with the designer’s signature waist sash. When brides come to this intimate boutique, they can expect the experienced consultants to guide them in searching through wedding dresses and help make it a seamless appointment. The Wedding Shoppe can check off everything on a bridal list, including the dress, headpiece, jewelry, shoes, and more. Retail price $5150.